The move would give the European Commission broader powers to investigate foreign investment. BERLIN/BRUSSELS — Members of the European Parliament are nearing agreement on a proposal that would broaden the powers of the European Commission to scrutinize foreign investments amid rising concern about Chinese acquisitions on the continent. The international trade committee of the parliament has been debating roughly 450 amendments to a legislative proposal presented by the Commission last year and is close to finalizing its own draft, with a committee vote expected on Monday, according to several officials involved in the discussions. The officials said the parliament’s proposal would be stronger than that of the Commission’s in several respects: it would extend the list of sectors that could draw EU scrutiny and oblige the EU executive to vet suspect investments, rather than just giving it the option to do so. The draft gives a far wider definition of critical infrastructure and technologies that could trigger the screening process. Among the sectors added to the list include the media, ports, the automotive sector and election infrastructure. New language underlines the importance of safeguarding the personal data of EU citizens. The draft also puts more emphasis on investments that might be carried out under state influence – a nod to fears that Chinese firms are buying up European rivals as part of an industrial strategy orchestrated by Beijing. “It will be stronger than the Commission proposal. There are more sectors. A lot has been added,” said one EU official involved in the discussions. Once the draft has been approved by the trade committee, the plan is to move swiftly into a “trilogue” negotiation with the Commission and the European Council, avoiding a full vote in the parliament’s plenary, according to several officials. For the legislation to proceed, the three institutions would need to reach a consensus. “We want to move swiftly and we don’t want to endanger the balance of the compromise,” a second EU official said. Franck Proust, a French MEP who is leading the parliament’s investment screening deliberations, signaled that a compromise was near but declined to comment on the substance. It seems doubtful that the stronger version — which goes so far as to list farmland, sports facilities and betting services as strategic areas — will be acceptable to the European Council, which groups the bloc’s 28 member states. Bulgaria, which holds the rotating EU presidency, is pressing for a compromise in the Council that could pave the way for a final deal by the end of the year. But officials described three groups of states that are opposed to robust investment screening legislation: free traders like the UK, Sweden, Denmark and the Netherlands; small countries like Luxembourg that are wary of a Commission power grab; and states that have benefitted from Chinese investments, including Portugal, Malta, Hungary and possibly Greece. “Portuguese officials have indicated that they are so fearful of losing Chinese investments that they simply can’t afford to back this,” one of the EU officials said. Earlier this month, China’s state-owned utility China Three Gorges launched a bid for EDP-Energias de Portugal, the country’s largest company. Although the offer has raised eyebrows in other capitals, the Portuguese government has welcomed it. The original Commission proposal, presented last September, was prompted by a request from Germany, France and Italy. Berlin was spooked by the takeover of robotics firm Kuka by China’s Midea in 2016 and the purchase earlier this year of a 9.7 percent stake in Daimler by Chinese carmaker Geely. 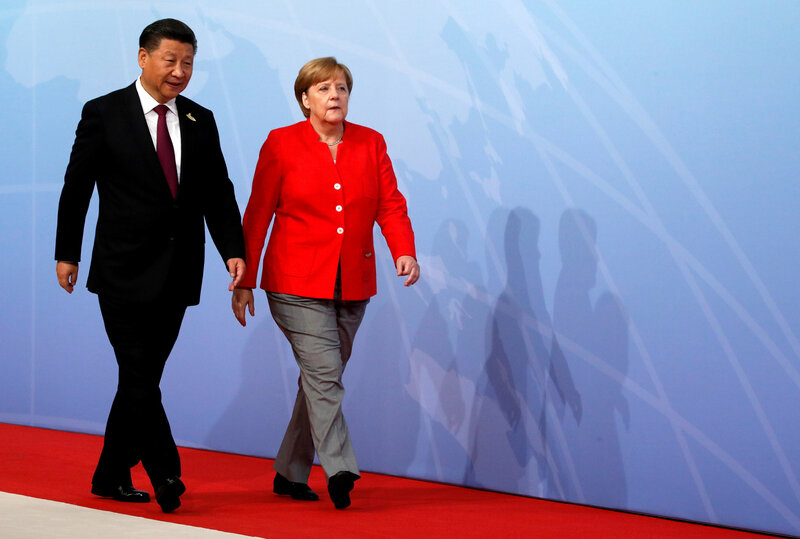 A study released by the Bertelsmann Foundation on Tuesday, ahead of a trip by German Chancellor Angela Merkel to China, showed that 64 percent of Chinese investments in Germany over the past three years were in sectors Beijing is prioritizing as part of its “Made in China 2025” strategy. The Commission proposal states that the EU executive “may screen” foreign direct investments that are likely to affect projects or programs of Union interest on the grounds of security or public order. The parliament’s version hardens the language to “shall screen”. While the proposed legislation would give the Commission the right to issue opinions and collect investment information from member states, it would leave the final say on whether to block foreign investments to national authorities.